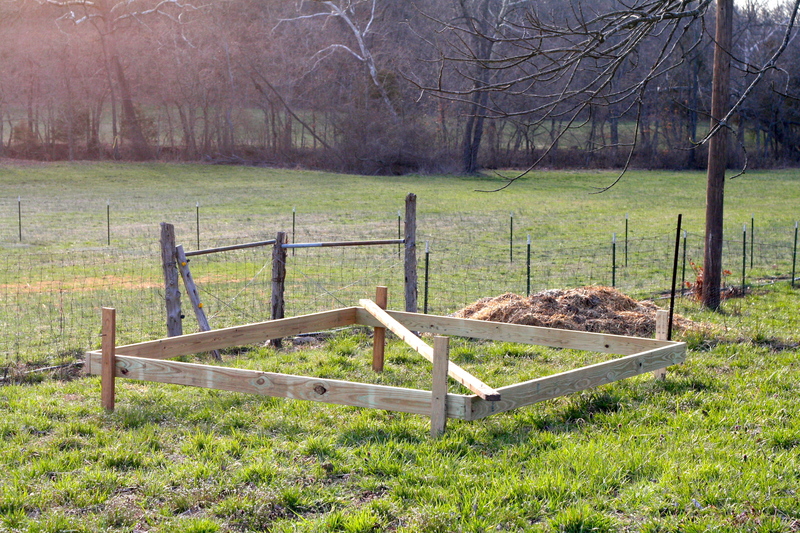 Springtime for Such and Such Farm! 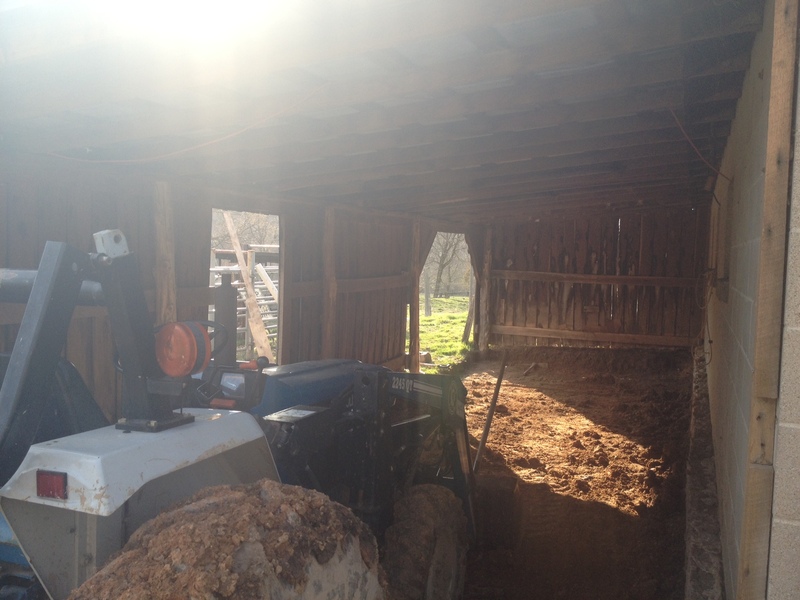 Spring has finally sprung here at the farm! Let’s just hope it stays this way. Now that it’s April, Missouri’s weather needs to get its act together! Anyway, we’ve started to notice some signs that spring has arrived; the hyacinths in Rob’s flower bed have started to bloom, we have a seriously broody buff orpington, the greenhouse is full of seedlings and germinating herbs, we have construction projects out the wazoo and there’s this bright light coming from the sky… oh yeah, the sun. 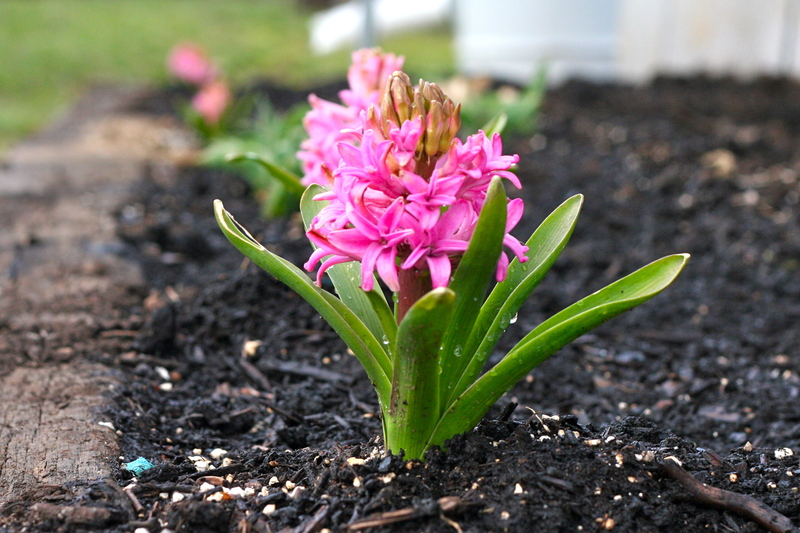 Our blooming Hyacinth in Rob’s flower bed. 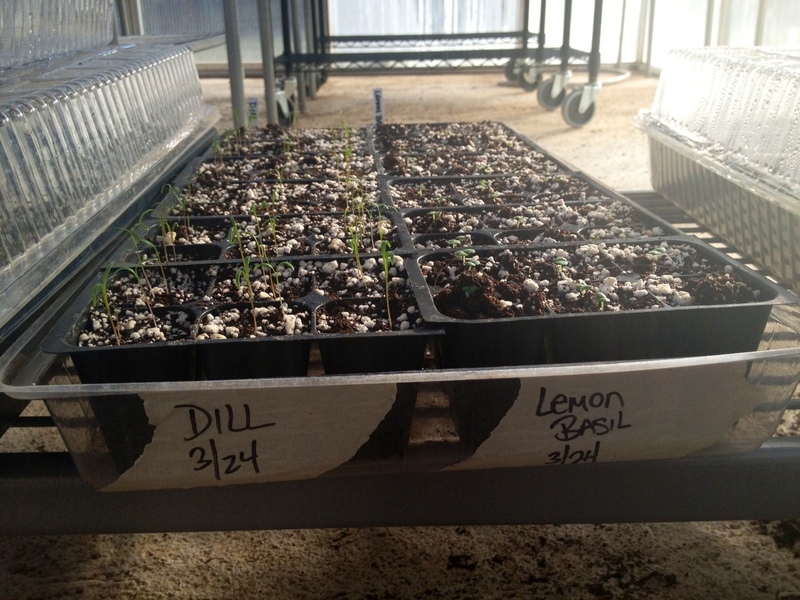 Herbs are beginning to sprout in the greenhouse. Soon they’ll be transplanted into window boxes along the back porch. 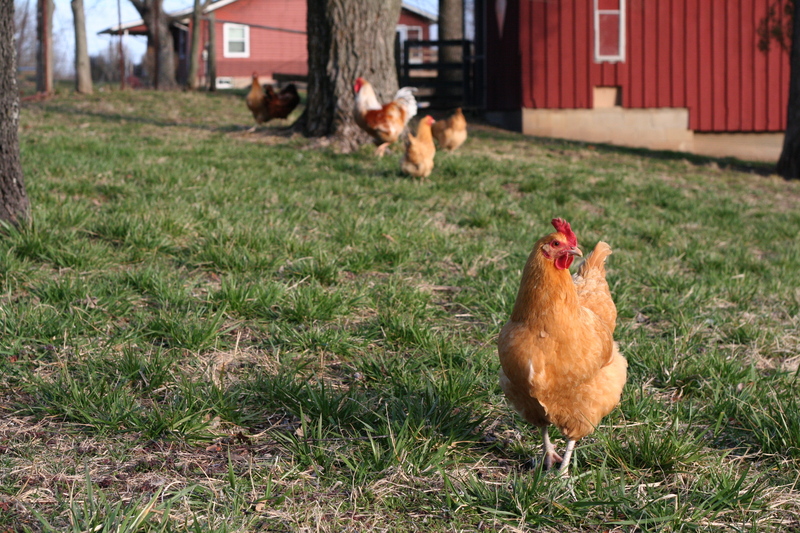 The chickens are spending more time outside foraging and stretching their legs in the pasture. She has at least 4 eggs under her and has been sitting for 4 days now! And I have to confess… I wrote that note, she didn’t. So here’s the story with Ms. Broody Pants. As you may or may not recall, a few months ago we had another buff that went broody. She was broody for about a week or so before we moved her and her clutch of eggs into our brooder box. All was well until we had a cold front move in and break her broodiness. Sad day. Well, last week this hen went broody and I immediately moved her to the broody box but she apparently didn’t think that was a suitable place to sit on her eggs. She was mad at me and I was really upset. I was afraid that I did wrong thing by moving her to safer place. But she surprised me by wanting to give it another go! The day after I moved her, she was back to sitting on a clutch of eggs in her favorite nesting box. This time I am NOT moving her! From what I’ve read, it’s perfectly safe to let her hatch the eggs in the nest (even though it’s 4 feet off the ground). Mother nature has told her that the nest she’s found is a perfectly acceptable place to have her babies and mother nature is a pretty smart lady. As soon as she hatches the eggs I’ll move her and the chicks to the brooder box. But then again, I shouldn’t count my chicks before they’ve hatched. Oh yes… the construction projects. This is the exciting part! We currently have two projects underway. The first is the new wood shop that’s attached to the existing metal shop. Previously, we had both the wood working machines and the welder in the same shop which isn’t a very good idea. Now we’re outfitting the adjoining storage shed into a separate shop so we can have a metal shop separate from a wood shop. 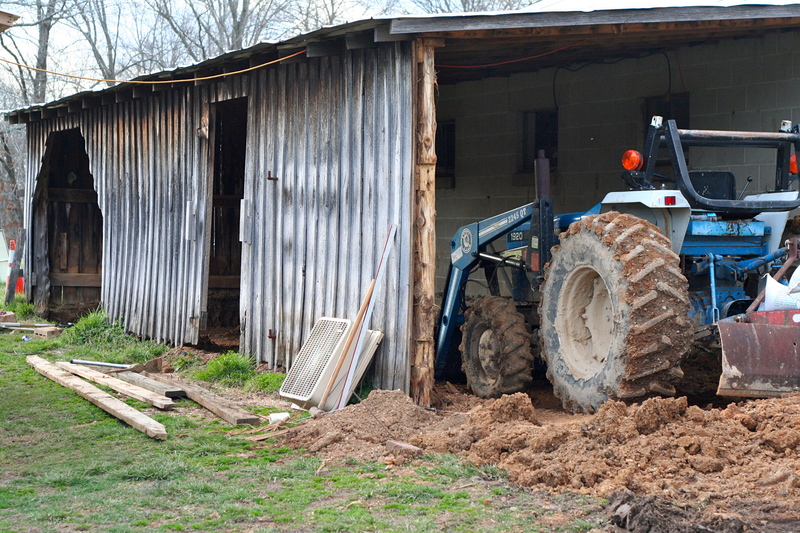 The first step is to dig out the floor and level everything off and that involves using the tractor and big strong man arms and big important man tools. The start of the new wood shop. One coop, Two coop, Red coop, New coop! Everything at your place sounds wonderful! I have a seriously broody Jersey Giant, Laverne. I keep telling her there ain’t no men here! She is not going to hatch Ethel’s eggs. But alas, she ignores me. Happy Spring! Thank you! 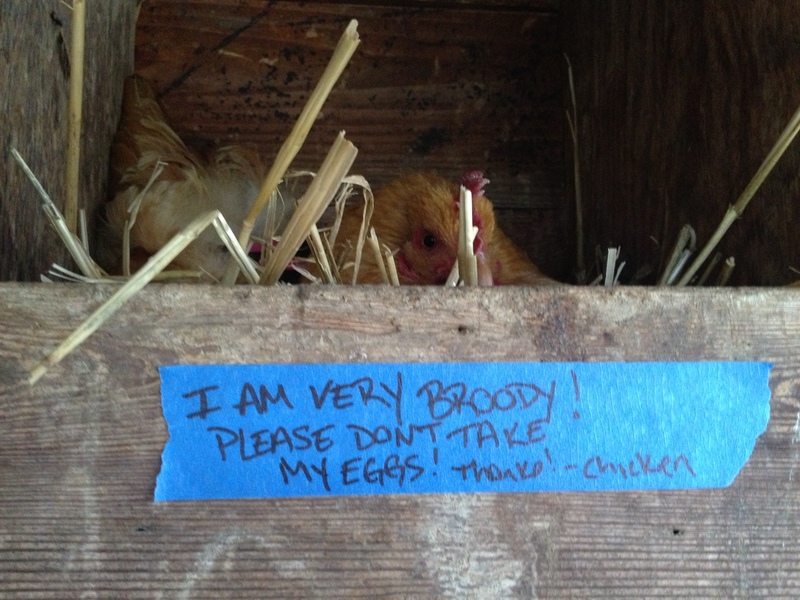 Oddly enough, we were warming up our incubator when Ms. Broody Pants decided to sit on her eggs. We have about 50%-70% fertility so we’re crossing our fingers that she hatches out something cute and fuzzy!